Miura’s story began nearly a century ago. Founded in 1927 in Japan, the company initially manufactured steam-powered rice threshing machines. After several decades in the agricultural industry, however, it became clear there was a need for Miura’s compact and efficient boilers in other sectors. Japan, after all, was a country that imported all its fuel and where space was extremely limited. As a result, the company has spent the last 60 years focused on selling its unique boilers — ultimately finding enough success to go global. In 2009, Miura opened its first factory in the U.S., in Rockmart, Georgia. 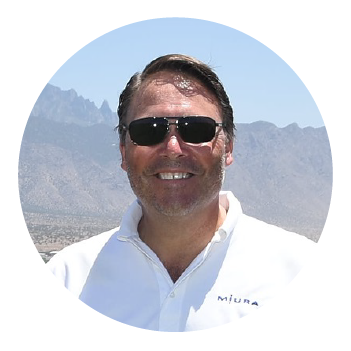 Doug MacMaster is Executive Vice President of Miura’s U.S. operations; his job is to manage the entirety of the company’s sales and maintenance activities across America and the Caribbean. That means he’s tasked with overseeing direct sales reps in 10 different offices as well as an extensive network of distributors responsible for the bulk of the organization’s sales. When he first joined Miura, however, the company was using a less-than-ideal Excel-based CRM tool — a result of its parent company’s commitment to using in-house systems. Recognizing that this wasn’t the best tool for tracking key sales data, MacMaster spoke up about the need for a better solution: “I said, ‘Can we talk about something like Salesforce?’” At first, the answer was no. Eventually, however, he and a few colleagues were able to make a strong case for the industry-leading CRM. To get started, Miura’s U.S. team hired an implementation firm to build a custom partner portal using Salesforce’s Community Cloud platform. The goal? To create a tool that enabled better lead management. Unfortunately, though, the end product didn’t hit the mark. Unhappy with this initial build, Miura brought in Torrent Consulting to make some improvements. Together, the two companies collaborated on an optimization that empowered Miura’s users — both internal and external — with the features they really needed. Now, it’s easy for members of the Miura team to route leads to their distributors. And for those distributors — who don’t work in exclusive territories — it’s possible to submit registration requests for their own sourced leads. Going forward, Miura plans to use a managed services contract with Torrent to add even greater functionality for its users, including sales dashboards, a resource library, a marketing calendar and more. The ultimate goal is for distributors to be able to “get everything they need in a timely manner and not have to make a phone call or send an email” — and the company is well on its way there.